A few weeks ago I was invited to attend the launch night of a brand new charity shop opening it's doors on Oxford Road, Manchester. 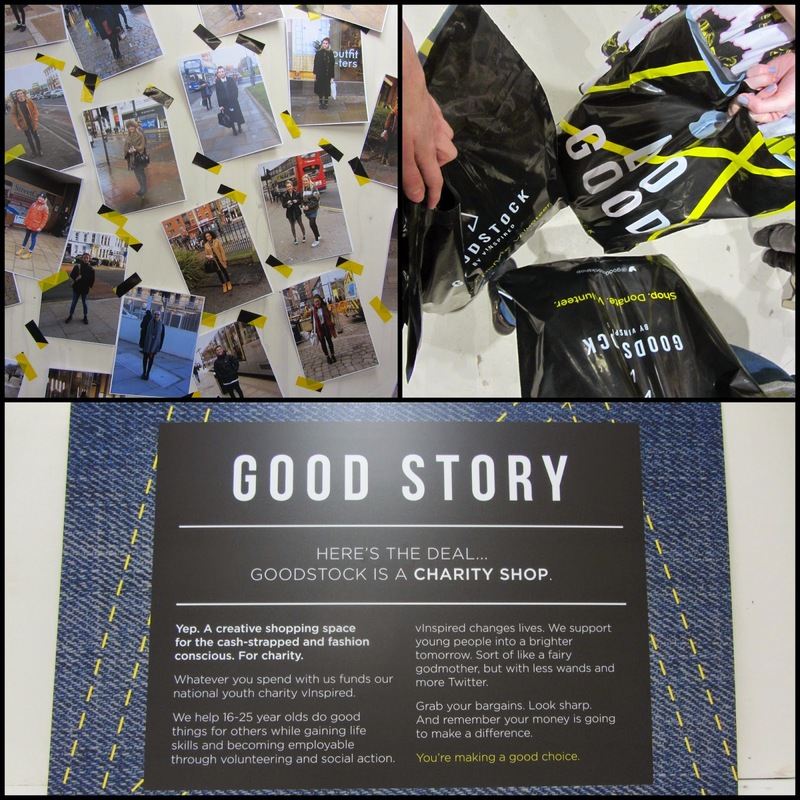 Now this isn't you're typical run-of-the-mill charity shop which looks like the remnants of jumble sales from the past 10 years no no no...this is Goodstock a project by vInspired which is a charity that helps young people improve their confidence, gain skills & change the world! As soon as I walked through the door I could tell it was a completely different experience of a charity shop. The shop itself is huge, spread over three floors, with spacious displays so it doesn't feel like you have to scour rails & rails to find a diamond in the rough. All the clothes on the rails are real gems, handpicked to reflect the target market which is ultimately young people. The clothes were in excellent condition & there was a great mix of high-street, designer & vintage garments. All very reasonably priced. The visual merchandising was more alike to Urban Outfitters rather than a traditional charity shop. I absolutely loved all the little displays with pop culture references. It's genuinely a really cool shop. 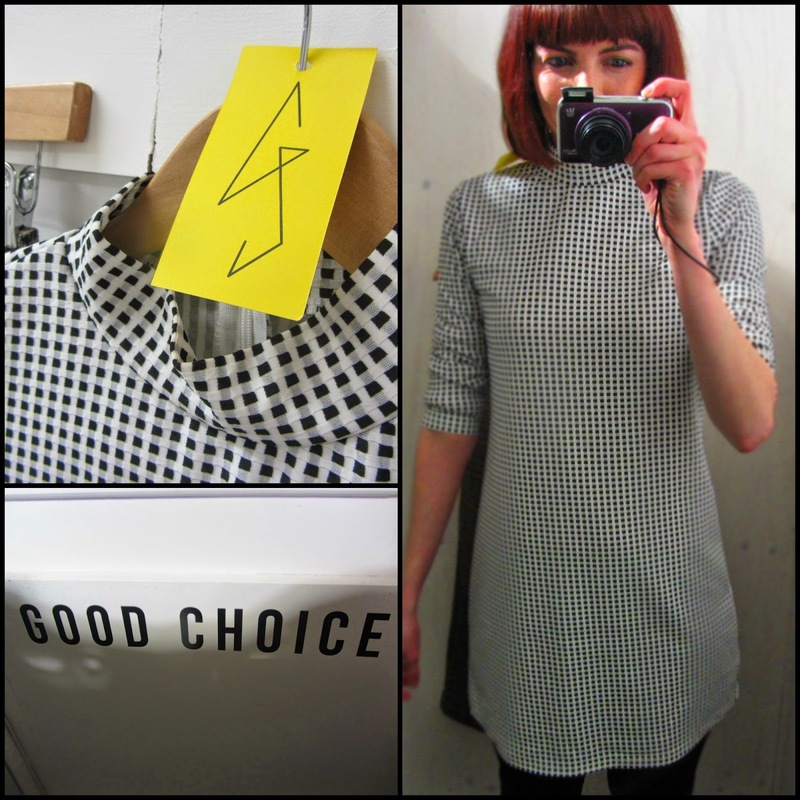 Here's one of the dresses I picked up...Monochrome, mod, high neck, long sleeve? 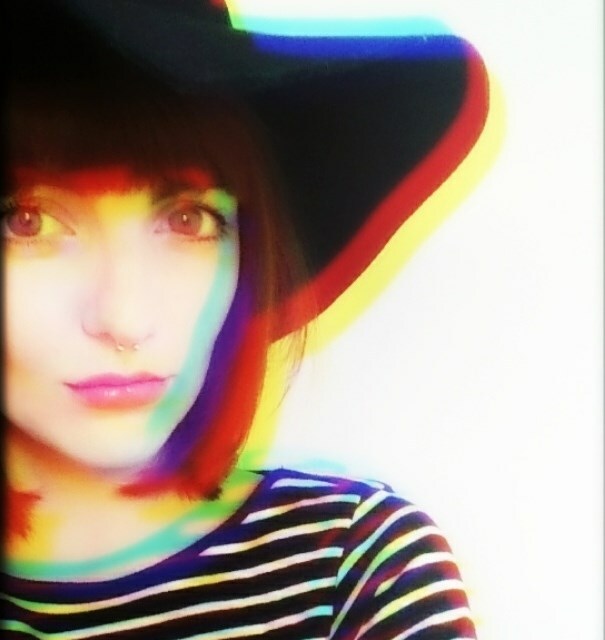 All the things I look for in a dress! I'm an avid charity shopper anyway so I'm not bothered by a good old rummage & sifting through old Primark from 4 years ago but I think this concept store will promote charity shopping to a younger generation & make it far more accessible & appealing. I know that whenever I visit Manchester I will always pop in & have a mooch as it's such a lovely environment. The vInspired team should be incredibly proud of there achievement & I hope that it's successes means that they can roll out the scheme to other cities too (include Preston please!) Thank you for inviting me. 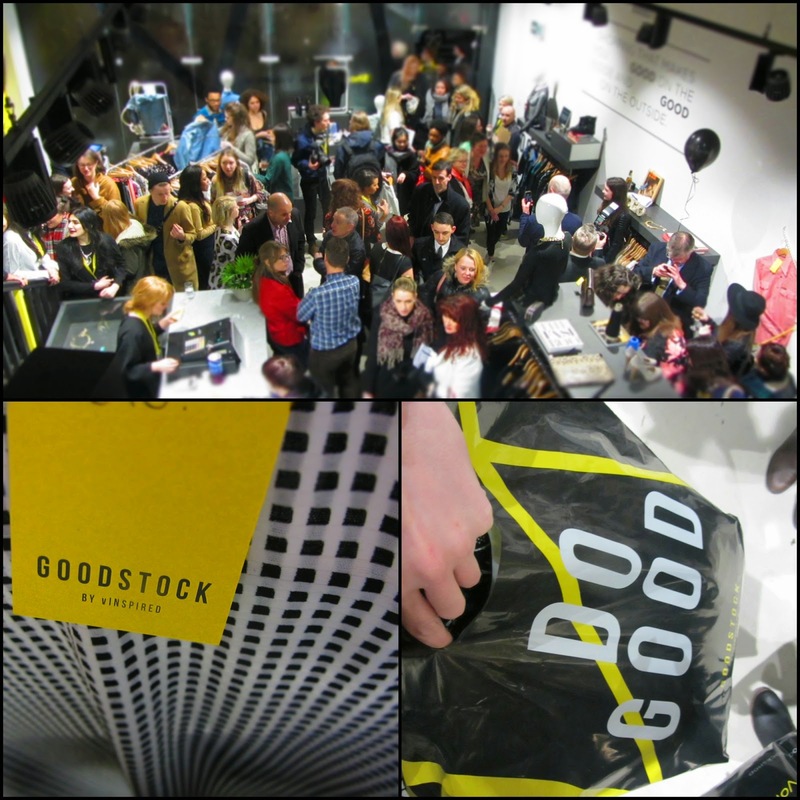 Have you visited Goodstock yet?